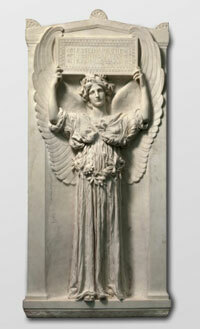 Maybe it’s time for the Association of Art Museum Directors to trash its “Criteria for Deaccessioning and Disposal.” These published guidelines are being conspicuously and repeatedly ignored by institutions eager to acquire works that they believe they can’t pay for without selling other works important enough to have been displayed in their galleries. number of studies by Eakins. 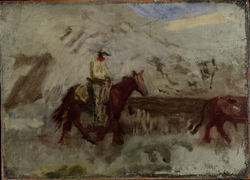 Despite their similarities in size and subject matter, “Cowboy Singing” and “Home Ranch” are different in composition and painting style and cannot be considered works that meet AAMD’s disposal criteria for being “redundant or duplicate [with] no value as part of a series.” Their differences in composition and execution make side-by-side comparison enlightening. The same can be said for the museum’s five “Badlands” sketches, of which two have now been dispatched to Denver. To my mind, multiples can sometimes be considered duplicates; unique works, not. 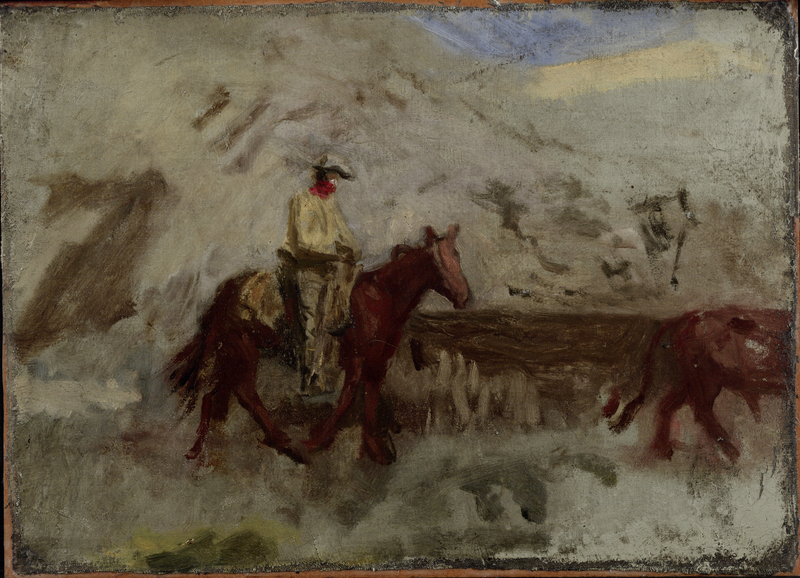 Cowboy Singing will be shared equally between the Denver Art Museum and the Anschutz Collection, which has donated funds to help support the DAM’s portion of the acquisition. Through the agreement, the Anschutz Collection will receive joint ownership of “Long Jakes (The Rocky Mountain Man)” by Charles Deas, acquired by the [Denver] museum in 1999. It’s not like “The Gross Clinic” was in danger of being removed from the public domain. 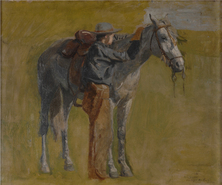 If the joint purchase by the National Gallery, Washington, and Alice Walton’s Crystal Bridges Museum, Bentonville, had been allowed to go through, Eakins’ masterpiece would have been lost to Philadelphians (who had largely ignored it until Thomas Jefferson University decided to sell it), but not to the greater American public. It’s interesting to note that the Philadelphia Museum has still not chosen to exhibit “The Gross Clinic” together with the work in its galleries that it most resembles: Eakins’ “The Agnew Clinic” (image here), on long term loan from the University of Pennsylvania. This juxtaposition might have diminished the sense of urgency surrounding the rescue of “The Gross Clinic,” by making it seem as much of a “duplicate” as “Cowboy Singing” is to “Home Ranch.” Perhaps the museum does not want to encourage its visitors to draw that conclusion.